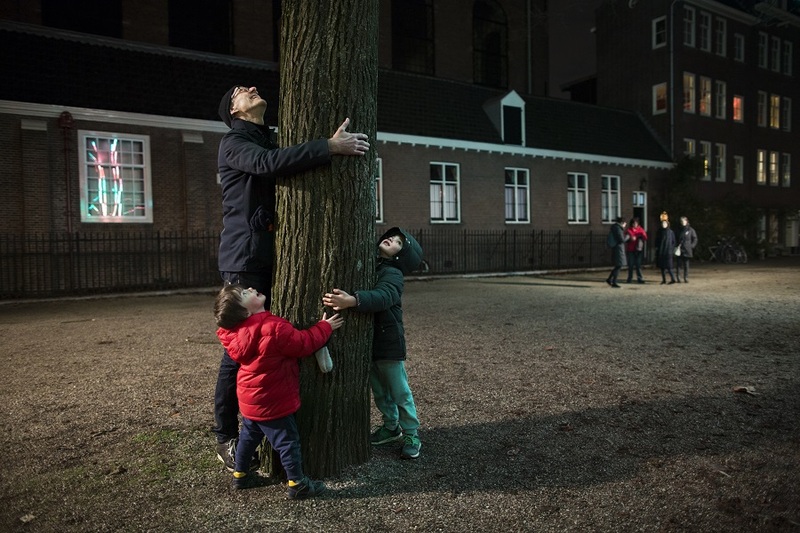 Tree Hugger by Daan van Hasselt and Asia Jackowska invites you to hug a tree. 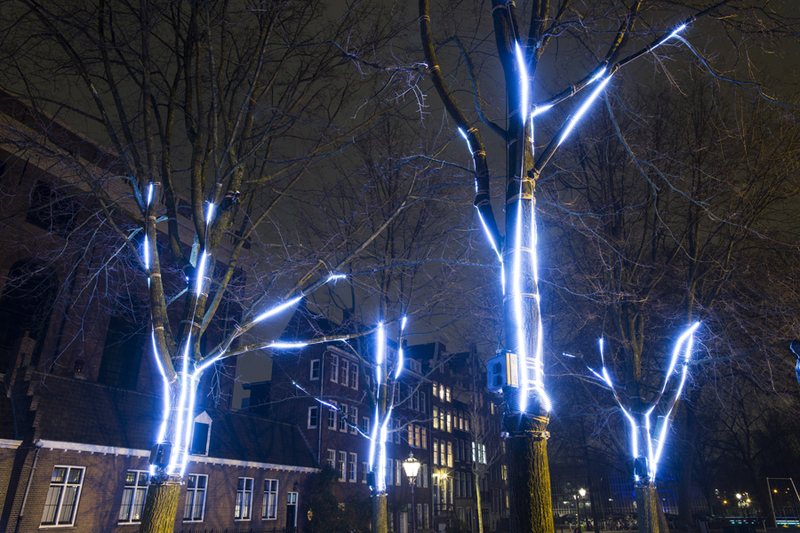 When you embrace a tree a sensor lights up the entire tree, also affecting surrounding trees. The work is inspired by the underground connections trees make with each other in order to survive storms and even tsunamis. Asia Jackowska and Daan van Hasselt are an Amsterdam based artist duo. Both of them are active in the interactive art scene and this project is their first official collaboration. Jackowska has a background in graphic design, illustration and animation. She studied Media Art at the Academy of Fine Arts in Poland and has been experiencing with digital and analogue media ever since. 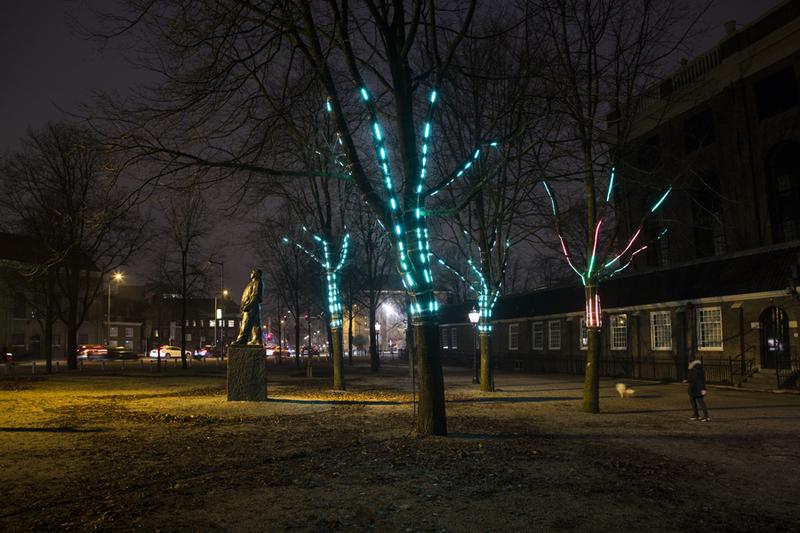 Her partner Van Hasselt studied Music Technology and focuses on the programming of software for interactive installations. He works for various (international) festivals, such as Lowlands, but also bigger commercial companies such as Tommy Hilfiger.